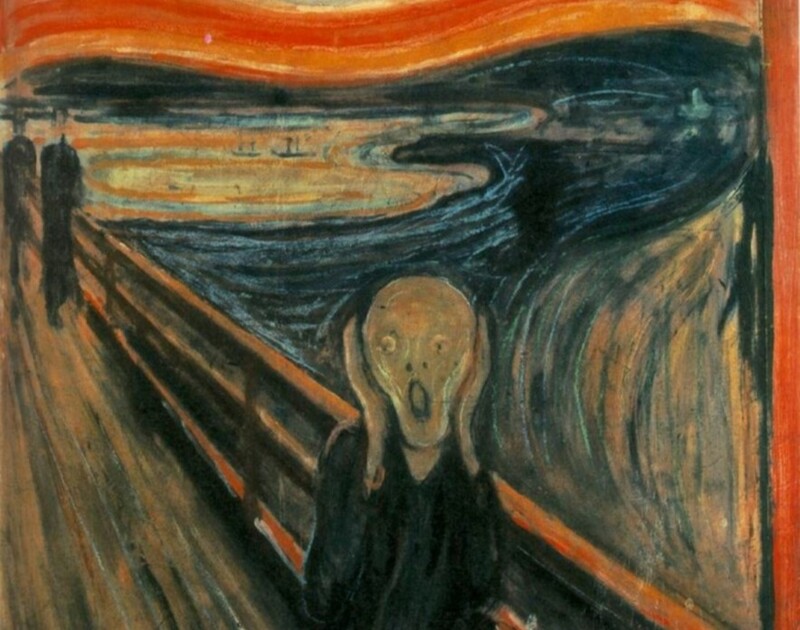 The Scream by Edvard Munk, 1893. Public Domain via Wikimedia. This book is written in large print with large line-spacing and uses graphics to fill the pages. The result is a large book that would otherwise be rather small. It is more of a manual with tests and activities. I learnt a good deal from this book about having one's emotions, and it supplements Stoic philosophy neatly in that it provides a way to "have" one's emotions without necessarily acting on them. For the Stoics, we have our emotions but it is our behaviour that is good or bad, rather than the external event. I have found Stoic philosophy useful in that through daily practice and reflection, one can learn to accept what one can and cannot control, and be "indifferent" to external events. But to be Stoic is different from being stoic, yet there is little to address the emotions that one inevitably "has", other than to choose how one reacts to one's emotions. Gilbertson's approach is like a Stoicism for the emotions. Through daily practice, one can learn to experience one's emotions through (w)allowing. An interesting approach to understanding emotions is to exchange the words think and feel in a sentence. If the words are not interchangeable, then it is a feeling. For example, "I feel angry" does not work as "I think angry". Whereas "I think I have been treated unjustly" and "I feel I have been treated unjustly" are interchangeable, hence the former is an emotion but the latter is not. Recognising and giving names to one's emotions is one approach to let emotions happen (as opposed to acting on them). Keeping a three-times daily journal to record how one feels over a two-week period is an interesting way to recognise emotional patterns and to practice recognising, naming, and experiencing one's emotions. I must admit that most of the book made me cringe a little, and I found myself unable to read it in public - the thought of someone seeing me reading this book probably explains why I scored a 14 on the test, and therefore I probably need to (w)allow in private! Like Stoic journalling, I can see the point in (w)allowing, and the drip, drip, drip of experience and reflection working to improve oneself. The final straw was on reflecting on how I feel/think, I stumbled upon "I feel guilty/I think guilty" - here I am naming my emotion. But no, there is a section devoted to guilty - being guilty is a fact, not an emotion. Obviously I have much to learn and while I still cringe at this book, I will be adding some of Gilbertson's activities to my daily journalling ritual, which at present includes James Allen (referred to by Gilbertson), La Rochefoucauld, and The Daily Stoic, and I will see what happens. I found Gilbertson's work via my subscription to Psychology Today, and I have since read many of her articles which are available online.